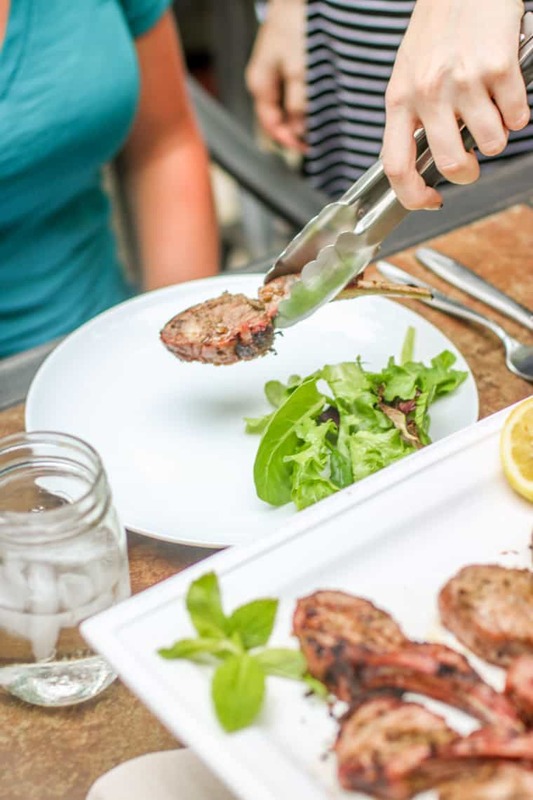 Impress your guests with these Mint Marinated Aussie Lamb Chops at your next get together this summer! Alright y’all. 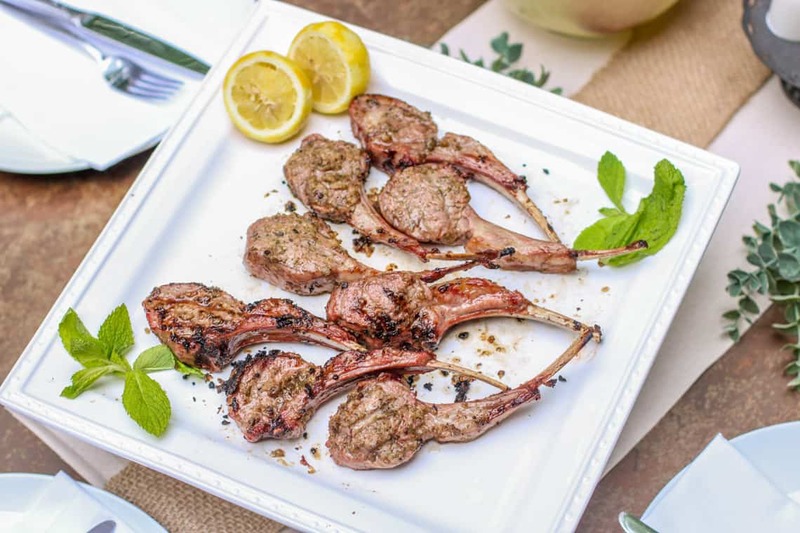 These Mint Marinated Aussie Lamb Chops are sure to impress your guests at your next grill out! 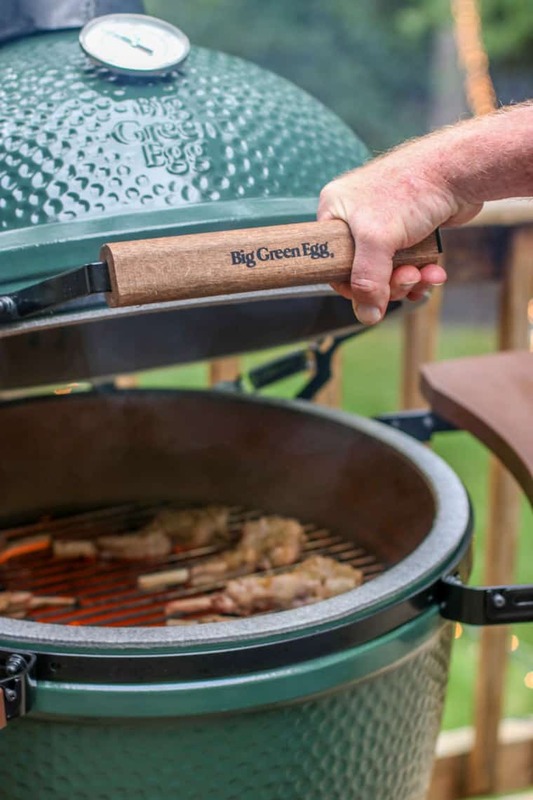 Eating outside isn’t just for hot dogs and s’mores any more thanks to the Big Green Egg! I’m excited to say that this is the first of a three part series that I’m doing for you in partnership with my friends over at True Aussie Beef and Lamb and Big Green Egg! I can’t be more excited to bring you the opportunity to win your own Big Green Egg! Keep reading to find out how to enter. 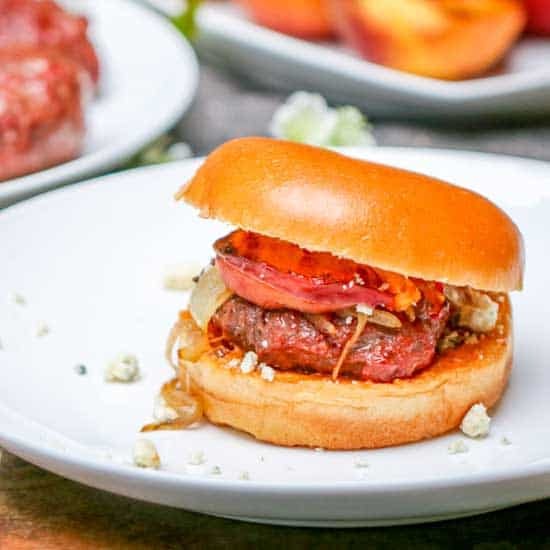 I don’t know about you, but I love grilling out during the summer. I find any reason to make dinner outside and the Big Green Egg made it about 1000% times better. The lump charcoal that I use from Big Green Egg is made from carbonized oak and hickory which gives the food the amazing smokey flavors. My family made Aussie grass fed burgers on it the first night I got it with just salt and pepper and it might’ve been one of the best grilling experiences I’ve ever had! Have I mentioned you have a chance to win your own yet? 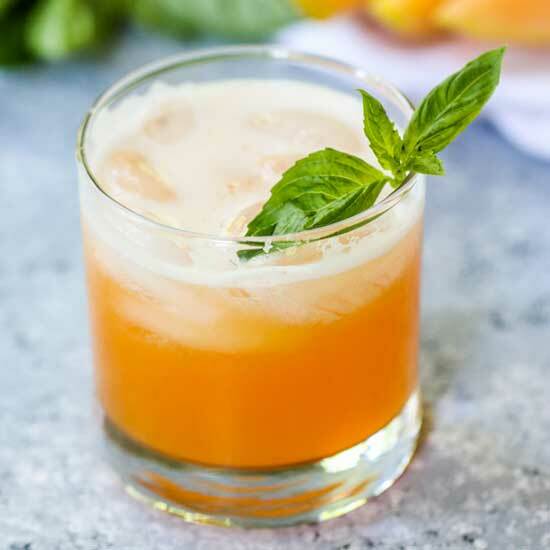 Pair that amazing smokey flavor with this mint marinade and you’ll be in foodie heaven. There’s always a few recipes that I know will be household staples after trying them once and this is one of them. The marinade has onion, mint, lemon, oregano, and a secret ingredient – cinnamon! The combination paired with Aussie lamb chops is just divine. 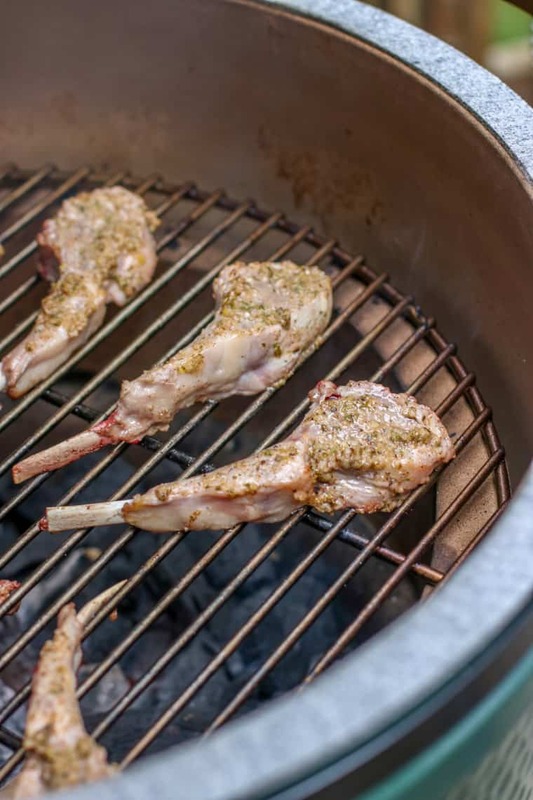 The layers of flavors from the herby and earthy marinade, the fresh Aussie lamb chops, and smokey grilled flavors from the Big Green Egg were perfect. My favorite part of this meal was being able to have an elevated outdoor meal with friends. A simple table setting with light appetizers while the Mint Marinated Aussie Lamb Chops were cooking was a great set up! 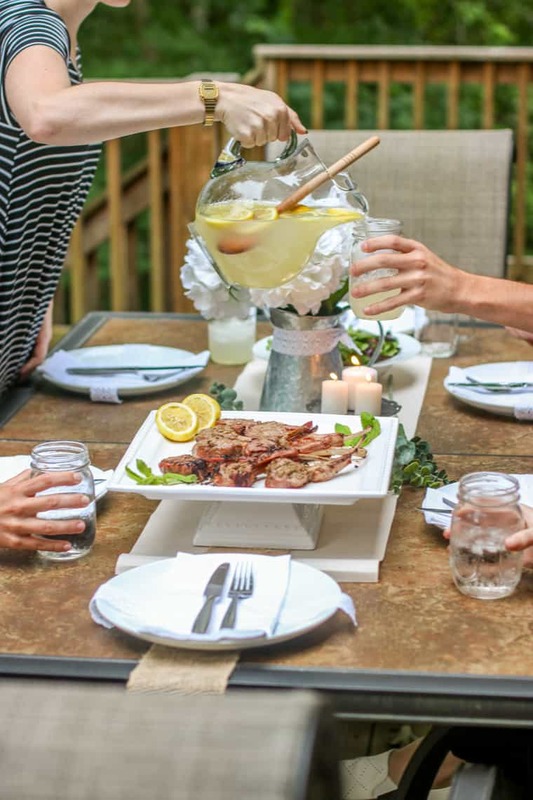 We sat down to the table ready to eat with some greens and fresh lemonade that paired with the Aussie lamb chops. Everyone took the first bite just stunned with the flavors! If this is something you’re looking for, don’t forget to enter below for a chance to win your own Big Green Egg! Be sure to tell them The Culinary Compass sent you! 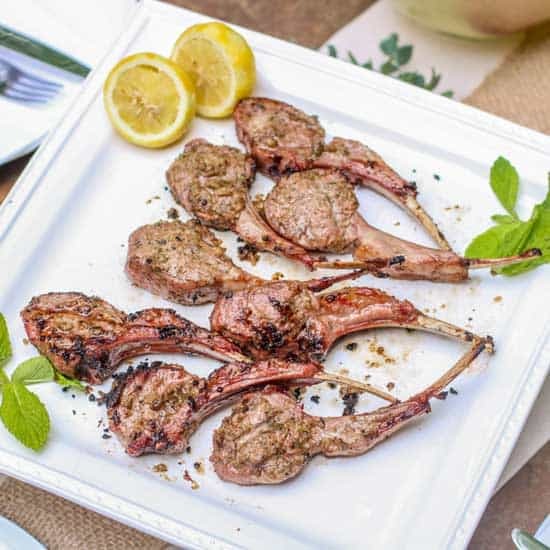 Impress your guests at your next get together with these Mint Marinated Aussie Lamb Chops! In a food processor, combine all ingredients, but lamb chops. 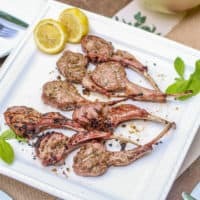 Spread mint mixture evenly over all sides of the lamb chops and let marinade in the refrigerator 2 hours to overnight. Thanks again to True Aussie Beef and Lamb and Big Green Egg for sponsoring this post!